You're probably thinking to yourself, "I don't need another chocolate chip cookie recipe." I'm sure you already have one, and why mess with a good thing, right? (sorry to be so blunt, but you are) WRONG. 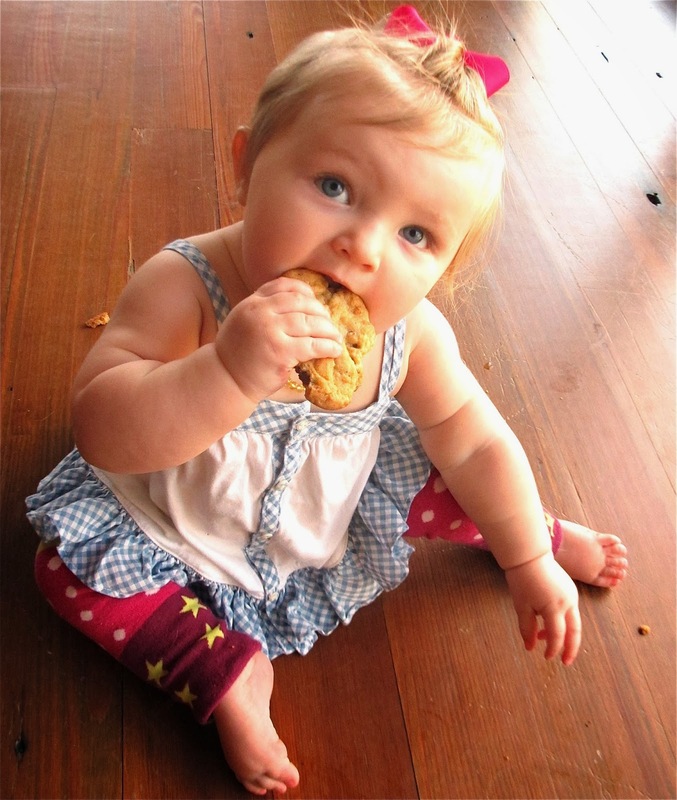 Have you had a chocolate chip cookie with browned butter? It gives the already-delicious cookie a deep flavor that no one can quite put their finger on. I've been around the block with cookie recipes and this one is so good, lemme tell ya. Need more convincing? If you pull it from the oven early enough, the center remains soft while the rim is crunchy. The kosher salt gives it a nice balance. If you reduce the chocolate from two cups to one like I do, the sweetness won't overwhelm you. The dough can be frozen if you have that much self-control; if not, it will keep nicely in the refrigerator for a few days. And when you serve it warm with a cold glass of milk, everyone will ask for seconds. 1. In a medium saucepan, cook the butter over moderate heat until you see browned bits and it's nutty-smelling. Transfer the butter to a small bowl and let it cool to room temperature. 2. In a medium bowl, whisk together the flour, salt and baking soda. In the bowl of a standing mixer fitted with the paddle, beat the browned butter with the granulated and light brown sugars at medium speed until light and fluffy, scraping down the bowl halfway through, about 7 minutes. Beat in the whole egg, egg yolk, milk and vanilla. At low speed, beat in the dry ingredients, scraping down the bowl as needed. Mix in the chopped chocolate. Cover the bowl with plastic wrap and refrigerate overnight. 3. Preheat the oven to 375°. Drop dough onto a baking sheet according to the size cookies you'd like (the original recipe recommends 1/4-cup mounds, but I like them smaller). Bake 9-18 minutes (depending on size). Pull from the oven when the outer rims are light brown but the inside still looks a bit gooey. Transfer the sheet to a rack to cool. Serve the cookies warm or at room temperature.